People have called it the best culinary experience they have ever had. Others have said it would be their last supper. But one point is unanimous: dinner at NAOE leaves a permanent impression on its guests. On its omakase menu the chef will often include a special bento box with egg cream with uni sauce, sweet potatoes and daikon radishes. 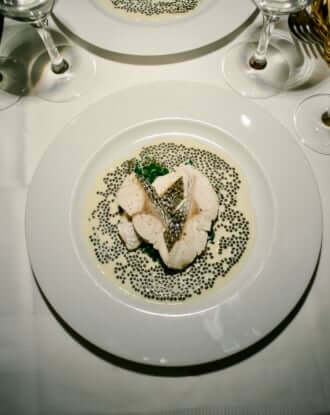 However it is over the subsequent courses that the real delicacies appear: lobster, monkfish and Japanese sandfish. The proof of NAOE’s success is in the eulogistic critiques the restaurant has received since it opened. The career of NAOE’s head chef is intimately linked with his family history, and his relationship to his uncle, chef Yasushi Naoe. 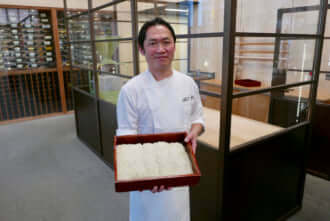 It is by his side, from Toyama to Japan, that he honed his skills and learnt to respect food and their complimentary techniques. He also discovered over time that he had family who brewed saké and made soy sauce. 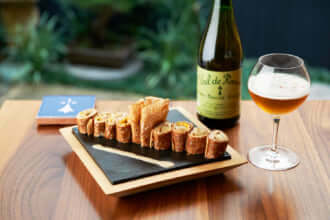 Thus, upon his return to the US in 2005, he named his restaurant NAOE in homage to his uncle while spotlighting his family’s culinary traditions with these two key products throughout his menu.